Do you work from home and need a home office that inspires productivity and organization? 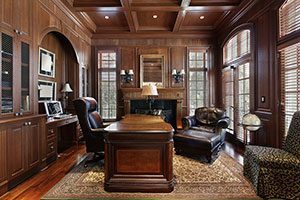 Let Dream Construction in Las Vegas help you design and build your dream home office. We can provide you with solutions to remodel your current space into a home office you’ll never want to leave. Let our design team take the reigns and create the ultimate work-from-home environment for you. At Dream Construction in Las Vegas, we can help you create the ultimate home office. Our design team has the knowledge and experience you need to create the space you’ve always dreamed of having. If you’re not quite sure what you’d like, let us know your needs, and we can come up with a design you’re sure to love. You can count on us to build the perfect space for your home business.